RAACISM Alert! Pope Benedict names five new saints…but Obama is not one of them. Quick, light the Bat-sh** Crazy Signal and Alert Henry Gates and Al Sharpton! In the immortal words of both Jesse “not an actual member of the Jackson Five” Jackson and Al “screams his head off and rolls around on the floor wailing and diaper-fudging” Sharpton, “this is an unimaginable travesty…an act of clear and present RAAACISM!”. 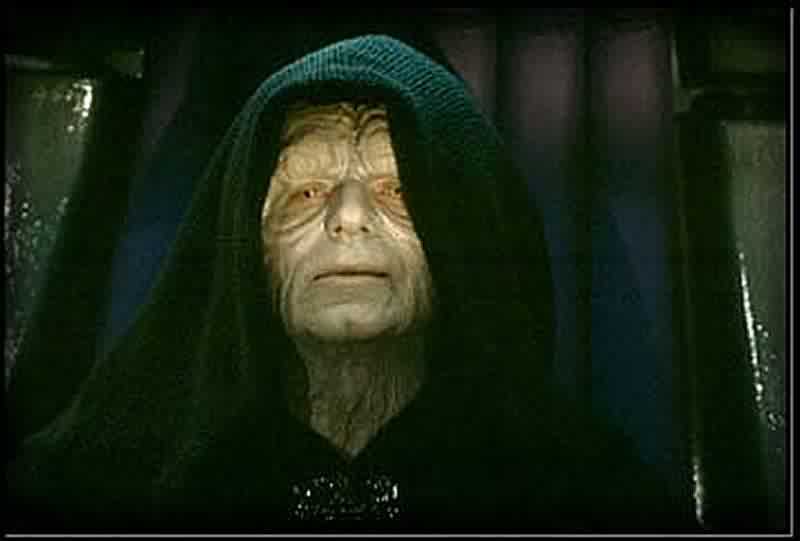 Pope Benedict (and/or possibly Emperor Palpatine) just elevated five people to sainthood, canonizing them. In his playpen, between wails, Henry Gates attributed this to RAAACISM!, like everything else that happens to him, including rain and that itch he often gets when he forgets to put enough Happy Diaper Baby powder in his Good-Nites. “Of course the Pope, a white man, CANONIZED those saints. And what color are canons? Black. What color is Diane Cannon? White. What color are Cannon cameras? Black. See, the things that are OWNED and bought by white people are BLACK, and the people who buy these cannons and cameras are all WHITE. WAAAAAAAAAH! I am going to write a very erudite and scholarly book on this subject and teach a graduate level course on it at Harvard. Just as soon as I have my cheesey-cracker snack and drink half of my Capri Sun juicy-box. I can’t drink but half or I will have another ‘accident’, and then I will blame that on RAAACISM too,” said the wailing embarrassment liberals keep insisting is a “distinguished professor of grievance propagation and imagination at Harvard. Sharpton, Jackson, and Gates were joined by Spike Lee and Eric Holder, grievance squad reinforcements, who insisted Dr. Utopia was passed over for sainthood because “he’s the wrong color and that old man in a dress with the candles, WHITE candles, is RAAACIST!”. One of the five people who actually worked hard and dedicated decades of their lives to real accomplishment before they won the ultimate of all awards is the new St. Damien, who worked in Hawaii with leprosy patients. “Leopards? Oh no you didn’t say Leopards…you didn’t say LEOPARDS. Like in the jungle, leopards, so what you’re saying is that because the president is half black he should be associated with the jungle, and there are leopards in Indonesia, which is really the president’s home, not Chicago, so you are being RAAACIST and calling him a jungle-dweller who is just as bad as leopards so you need some new white saint to save the world from the partially black president. Damn dirty RAAACISTS, all of you,” Spike Lee wailed, rolling around on the floor next to Eric Holder, who immediately went into apoplectic fits upon hearing the Pope wants to reopen the Coliseum to feed black people to leopards, as reported by Maureen Dowd (who filled in all the missing Madlibs the Pope didn’t actually say, because she knows what he REALLY meant and can scry concealed RAAACISM from the ether like white smoke over the Vatican). Sharpton, Jackson, Gates, Lee, and Holder were quickly joined by James Clyburne and John Lewis, who all demanded Dr. Utopia immediately be made Pope. “It is the only way to heal this vicious, vicious wound we created by rolling on the floor to great media fanfare inventing nonsense even we don’t believe, but use exclusively to shake down the rich and corporations for “consulting fees” to prevent boycotts. Our president enjoys being revered and worshipped, and Rahm Emanuel and Charlie Crist keep telling him how much fun it is to wear dresses, so he’s willing to give being Pope a try until he gets tired of it and wants to run for Jesus. And anyone who tries to stop him is a, wait for it, wait for it, wait for it, RAAAAAAAAAAAAAAAAACIST! Obama in Heaven, I just fudged my dydees! Again. RAAACIST!”, caterwauled Clyburne, with Lewis at his side shouting “Yah!” every other word for dramatic impact. “Too bad my good friend Johnny Cochraine is dead, which is RAAACIST too because why does the Reaper have to wear black but angels get to be all lily-white? If he was here, he’d say, “If the Pope’s on the ropes, it’s time to get the straight dope, for that guy who says HOPE. Bee-bee-bee-bope!”, Sharpton word-farted in the general direction of 100 assembled MSM cameras. When told by a reporter from the Mineral City Pennysaver that “bee-bee-bee-bope” is not a real, cromulent word, Sharpton et al raised a great chorus of RAAACISM! accusations at the young woman with the Dictionary and ran screaming from the room, informing all the interview was over…but the boycott had just begun! Who do you think you're calling an ELF? Have you heard about the "Lil' Monkey" doll controversy yet? RAAAAAAACISM!